The following example creates a slice with an initial size of 5. When you give := you can declare and initialize the variable at the same time. The easy way to create a slice and initialize with a value is as shown below. Instead of declaring a slice variable first, and then initializing the values separately, you can combine them together. You don’t need to use make command to initialize the size. Also, you don’t have to specify the number of elements in the slice. It already knows that based on the number of values that is getting assigned to the slice during initialization. For better clarify and redability, you can also use multi-line syntax while initializing and assigning values to a slice as shown below. The advantage of this syntax is that you can comment out a particular value in a slice without having to worry about removing the comma as shown below. In the following example, we have commented out the last value in the array. But, we didn’t have to worry about removing the comma after Alicia. This is exactly same as array. No difference between array and slice while assigning a value, as assigning a value to a slice is really assigning value to the array that is behind the slice. As you see above, the index reference that you’ll use for the 1st element of the array is 0 (not 1). := know will decide the type of the variable based on the value that is getting assigned. To display a specific slice element or all the elements in a slice, use fmt.Println as show above. Make sure “fmt” package is imported on the top using import command. When you print the whole slice, in the output, it will display all the elements inside square parentheses as shown below. High – indicates the index where the slice ends it (but excluding the index. i.e high-1). 0 indicates the low value. The slice index starts from 0. 3 indicates the high values. The slice index ends at 2. i.e 3-1. Low and high are optional. Default low value is 0. Default high value is same as the length of the array. Note that the following are all same. Note: The above will change the value of both top2Slice and top3Slice, because both are sharing the same array underneath. You can create a slice of structs and initialize it at the same time as shown below. 10. Identify Length of a Slice – How many Elements are there? len function will return the total number of elements in the given slice. You can assign the value of the len function to another variable also. capacity – total number of elements in the slice’s underlying array from the first element in the slice. 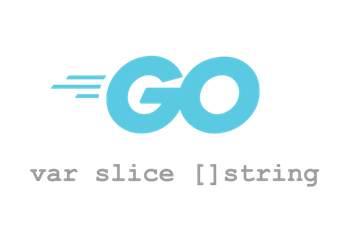 For the same slice, both the length and the capacity can be same or different. Both of the lines below are exactly the same with length 5 and capacity 5. In the following the capacity is 5, but the length is 1. To identify length of an existing slice use len function as shown below. To identify the capacity of a slice use cap function as shown below. A nil slice has a length and capacity of 0 and has no underlying array as shown below. The following is not a nil slice, as we’ve allocated an array, eventhough the length and capacity is 0. To add additional elements to an existing slice, use the append function as shown below. The following will add 1 additional element to the names slice and assign the results to myNames slice. The following will just add 2 additional elements to the MyNames slice. Use the copy function to copy the elements from one slice to another as shown below. This is similar to loop through elements in an Array using for and range as shown below. range distros – range is a go command which will return the index number and the value of an element. for i, value – Here specify two variable to the for command. The variable name can be anything. It just happened for clarity we are using index and value as the variable name here. If you just want to use the array element and not the index, then specifying the index variable as shown below will give error message. In this example, we just want to loop through all the values in the ids array and total them. So, we really don’t care about the index variable here. In this case, just replace the index variable in the for loop with _ underscore as shown below. An _ underscore indicates Go language that you take the value of a particular variable (in this case index) and just ignore it. // Is Slice Empty - No Array Behind it? 9. Is Slice Empty - No Array Behind it?